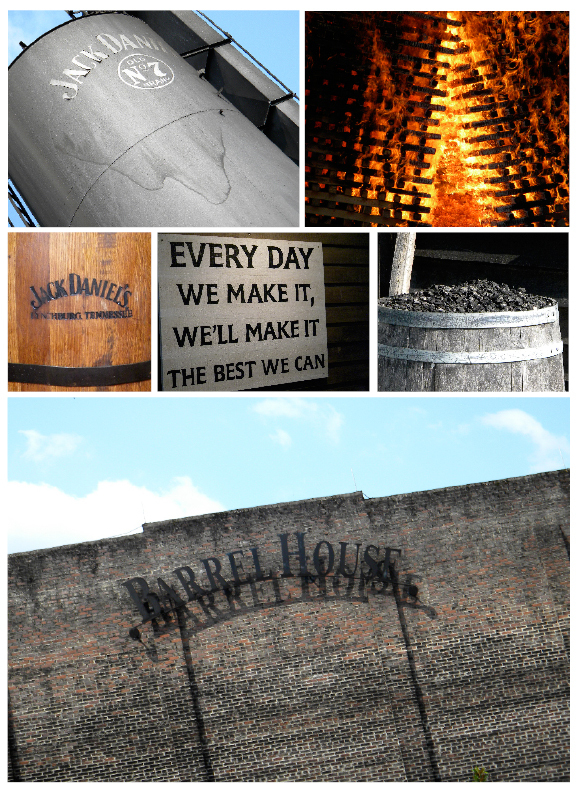 Upon our departure from Bonnaroo, Dad and I stopped at the Jack Daniels Distillery for a tour. A mere twenty minutes from Manchester, TN – Lynchberg county is home to all the Jack Daniels produced world wide! There are two things you should know about Lynchberg, TN: there is only one stoplight in town and it is a dry county. Yes, the home of Jack Daniels sits in a dry county. This meant no taste testing at the end of the tour – shame, as whiskey is a favorite of mine. The tour itself was surprisingly informative. It was fascinating to learn how much the distillery recycles – from the leftover fermented grain, sold to farmers for livestock feed, to the handmade barrels, sold to other distilleries in Ireland and Scotland.